The Clay School is committed to providing a vibrant, creative space for community members to work with clay, and learn alongside fellow creatives, from local professional and emerging potters. Our goal is to foster a sense of community among students of all ages and enrich their continuing education through shared experiences around making art. At the closing of the Cornell Ceramics Studio in 2011, the void was apparent in the Ithaca community for a space that could house and teach clay classes to students of all ages. 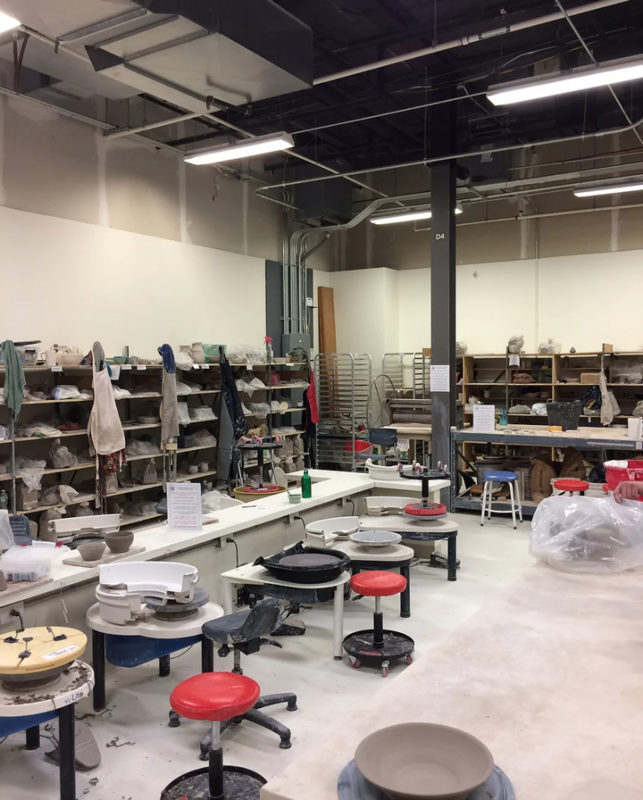 After a long search for adequate and affordable square footage, Julia Dean, a former instructor at the Cornell Studio, moved her own ceramic production studio to a space large enough to support a teaching studio as well, and The Clay School was born in the fall of 2015. Enlisting a cadre of well established potters in the area with decades of combined teaching experience, The Clay School is able to offer a variety of class descriptions, techniques and approaches to working with clay. Students may choose to concentrate on wheel throwing, hand-building methods, surface decoration, and functional work. Monthly shelf rental is available to established students. And there are weekend and one-day workshops offered throughout the year for locals and out of town students as well.